Fiber Linker’s 3G-SDI Fiber Optic Extender over fiber opitc cable offers the digital transmission of fully uncompressed SDI (270Mbps),HD-SDI (1.485Gbps) , 3G-SDI(2.97Gbps) over single fiber with broadcast quality. 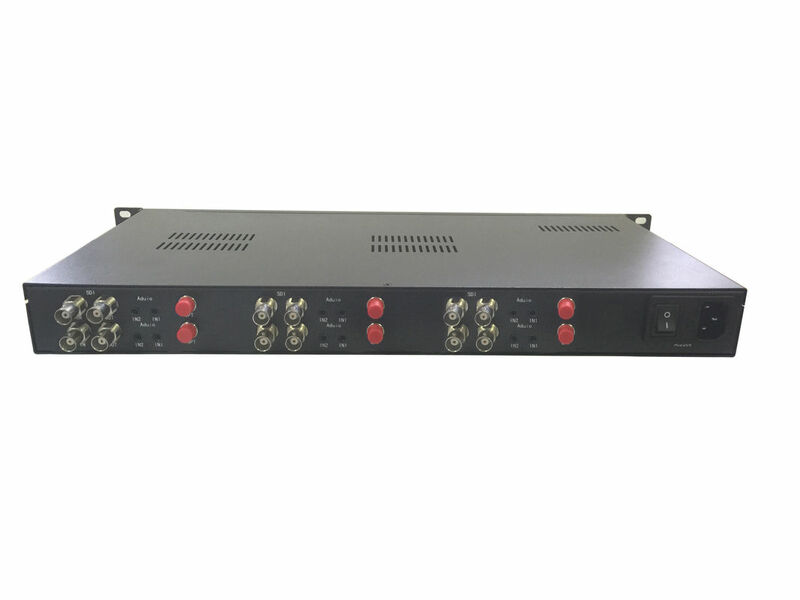 it is optional audio, RS485/RS232/RS422 serial data, Loopback output and IP Ethernet transmission. It is broadcasting quality, could compatible with ASI, TS stream. FL4006-6 : 6-ch unidirectional 3G-SDI/ASI, embeding 6-ch stereo audio in transmitter. 6 fibers, single mode,FC or ST, 20KM, 1U rack mount.